Norway's huge sovereign-wealth oil fund announced this week that it will sell its stakes in four Asian companies over environmental concerns, underlining yet again how willing it is to take an activist approach toward companies that fail to meet its ethical standards. 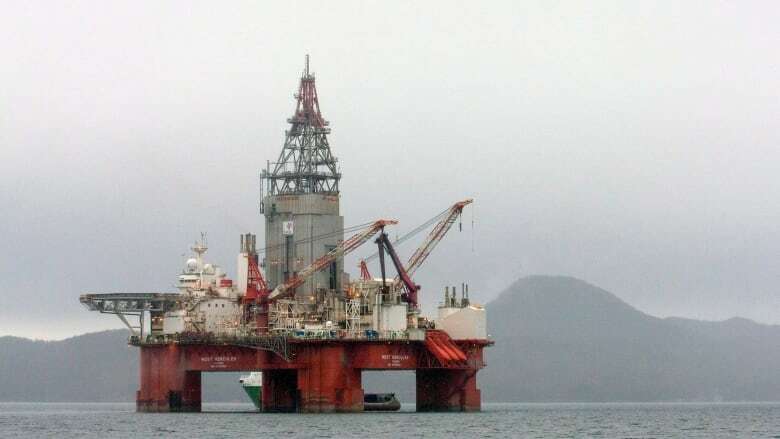 Norway's $1.15 trillion Cdn sovereign-wealth oil fund announced this week that it will sell its stakes in four Asian companies over environmental concerns, underlining yet again how willing it is to take an activist approach to companies that fail to meet its ethical standards. The mammoth fund, which is financed by profits, taxes and fees from Norway's offshore oil and gas sector, said it would divest from South Korean steelmaker Posco, its subsidiary Daewoo International Corp., and two Malaysian companies, Genting Berhad and IJM Corporation Berhad. Sovereign wealth funds: What does it take to succeed? The sell decision came from the fund's ethical council. It said the four companies may be responsible for environmental damage linked to the conversion of tropical forests in Indonesia into palm oil plantations. The four companies are the latest to join a blacklist of more than 60 companies that have been excluded from the fund's portfolio for a variety of environmental, social or governance reasons. Two Canadian companies have made the list: Potash Corporation of Saskatchewan and Barrick Gold. Barrick was added in 2008 following a recommendation from the fund's ethics council because of "an unacceptable risk of contribution to ongoing and future environmental damage" at a mine in Papua New Guinea. PotashCorp was excluded in 2011 because it imported phosphate from occupied territory in Western Sahara. The Norwegian fund's position is more activist than that of most big Canadian pension funds, which say they do evaluate companies for their environmental, social and governance performance, but stop short of refusing to invest in firms solely because of ESG concerns. The Canada Pension Plan Investment Board (CPPIB), for instance, has a $13-million stake in Genting Berhad and a $5-million stake in IJM Corporation Berhad — the two Malaysian companies that Norway's fund is excluding from its portfolio. A spokesperson for the CPPIB pointed to its mandate to maximize returns without undue risk of loss. But the board's website indicates that that does not mean that it does not take ESG factors into account in its $268-billion CPP Fund. "We believe that organizations that manage ESG factors effectively are more likely to create sustainable value over the long term than those that do not," the CPPIB says. "Given our legislated investment-only mandate, we integrate ESG into our investment analysis, rather than eliminating investments based on ESG factors alone. As an owner, we monitor ESG factors and actively engage with companies to promote improved management of ESG." In other words, the pension giant uses its shareholder voting clout to nudge management into being more responsible and providing more disclosure to company investors. Other big pension funds in Canada appear to have much the same strategy. A recent report from the Responsible Investment Association (RIA), a Canadian umbrella group that represents fund companies, financial institutions, asset managers, research firms and advisers who specialize in responsible investing, shows that most of Canada's biggest pension funds, including the CPPIB, now routinely report on their responsible investing activities. According to its data, the value of assets in Canada being managed using one or more responsible investing strategies increased to more than $1 trillion by the end of 2013. RIA chief executive Deb Abbey says the CPPIB's focus is mainly on shareholder engagement and proxy voting. She acknowledges that they have been "actively engaged" on a number of issues. "They do what they can do and ... what they can do is evolving at a pace," Abbey says. Should they be doing more? "Absolutely," she tells CBC News. "All investors should use their rights as shareholders to reduce risk and increase shareholder and stakeholder value. The CPPIB has more resources to do that than most." Abbey also notes that the Ontario government has brought in legislative changes that will require all pension plan administrators as of 2016 to spell out whether environmental, social and governance factors are taken into account in the plan's investment policies and procedures, and if so, how. "This could be a game changer in Canada," she says. The demand for such ethical accountability is growing. Last week, financial research company Morningstar announced it would launch the fund industry's first environmental, social, and governance scores for global mutual funds and exchange traded funds. The scores will be based on ratings from Sustainalytics, an Amsterdam-based provider of ratings and research based on a variety of environmental, social and governance factors. Sustainalytics' ratings rank 4,500 companies against their peers — a best-of-sector approach to rating their ethical behaviour. Why the growing interest in ethical accountability? It appears to pay dividends. In Canada, the Jantzi Social Index, which tracks 60 Canadian companies that pass a number of environmental, social, and governance rating criteria, has outperformed the main Toronto Stock Exchange benchmark over the past one, three, five and 10 years. A 2015 study from the Harvard Business School found that "firms with good performance on material sustainability issues significantly outperform firms with poor performance on these issues." The clear implication, the authors say, is that investments in companies that take sustainability or ESG issues seriously boost shareholder returns. Environmental, social and corporate governance integration.